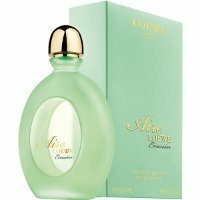 Spanish house Loewe has launched Aire Loewe Evasión, a new fragrance for women. Aire Evasión is a flanker to 1985's Loewe Aire, and follows 2013's Aire Allegro, 2012's Aire Sensual and 2009's Aire Loco, among others. Aire Evasión is a light floral; notes include bitter orange, apple, white peach tea, tuberose, muguet, jasmine, peony, cedar, sandalwood and white musk. Loewe Aire Evasión is available now at Bodybell in Spain, in 75 and 125 ml Eau de Toilette. Is this scent a military tactic, or merely something that will drive people to evade you? I think the word in Spanish can also mean escape…and the ad copy is something about escaping to nature. My Spanish is not quite good enough to put an official translation, sorry!